A worthy puzzle game! 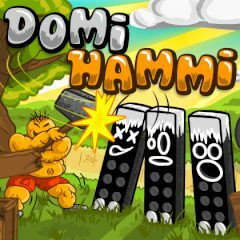 Help Hammi collect all the stars using his hammer. Use the domino principle in order to make all the totems fall. Good luck!